FIGURE 1-9 (A) Nucleic acid sequence for rat proCRH genes. A schematic representation of the rat proCRH gene. The exons are shown as blocks and the intron is shown by a line. The TATA and CAAT sequences, putative cap site, translation initiator ATG, translation terminator UGA, and poly(A) addition signals (AATAAA) are indicated. The location of the CRH peptide is indicated by CRH. Redrawn from Thompson, R. D., Seasholz, A. F., and Herbert, E. (1988). Mol. Endocrinol. 1, 363. (B) Proopiomelanocortin is a polypeptide product encoded by a single gene. The dark vertical bars represent proteolytic cleavage sites for specific enzymes. The cleavage sites are Arg-Arg, Lys-Arg, or Lys-Lys. Some specificity also may be conferred by neighboring amino acid residues. In the corticotrophic cell of the anterior pituitary, enzymes are present that cleave at sites 3 and 5, releasing the major products ACTH and /3-lipotropin into the general circulation. In the pars intermedia, especially in vertebrates below humans, these products are further cleaved at major sites 4, 6, and 7 to release a-MSH, CLIP, -y-lipotropin, and /3-endorphin into the general circulation. Some /3-lipotropin arising in the corticotroph may be further degraded to form /3-endorphin. These two cell types appear to be under separate controls. The corticotrophic cell of the anterior pituitary is under the positive control of the CRH and its auxiliary helpers, arginine vasopressin (AVP) and angiotensin II. AVP by itself does not release ACTH, but enhances the action of CRH in this process. The products of the intermediary pituitary, a-MSH, CLIP (corticotropin-Iike intermediary peptide), y-lipotropin, and ^-endorphin, are under the positive control of dopamine, rather than CRH, for release. Obviously different proteases must exist in these different cell types in order to generate a specific array of hormonal products. /3-Endorphin also contains a pentapeptide, enkephalin. (C) Model of the enkephalin precursor. The distribution of Met-enkephalin sequences (M!-M6 and Leu-enkephalin (L) is presented. Redrawn from Comb, M, Seeburg, P. H., Adelman, J., Eiden, L., and Herbert, E. (1982). Nature (London) 295, 663.
gene yields one hormone (Figure 1-9A), the gene for proopiomelanocortin, where one gene yields eight different hormones (Figure 1-9B), and the gene for enkephalins (ENK), where one gene produces multiple copies of the mRNA for one hormone, met-ENK (Figure 1-9C). Certainly the most general circumstance is where one gene encodes one protein (hormone). In Figure 1-9A, the information for the hormone CRH is contained only in the second exon, and the amino acid sequence information contained in the first exon is never expressed. Also indicated are the positions of the promoter region of the gene containing the TATA box and the CAAT regulatory element, the CAP site, the AT6 signal to initiate translation of the mRNA, and the TGA translation termination signal, followed by the poly(A) addition signals, AATAAA. 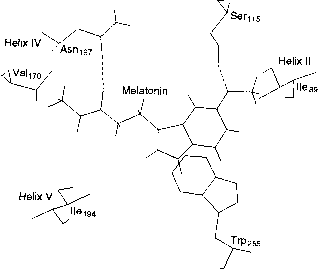 Figure 1-9B presents the gene for proopiomelanocortin, which supports the production in the pituitary of the following hormones: ACTH, /3-lipotropin, a-lipotropin, y-MSH, a-MSH, CLIP, ^-endorphin, and potentially enkephalins. It is important to note that not all of the hormone products are produced by one single-cell phenotype but occur in separate cells. Thus, a cell-specific processing is operative, involving proteases that specifically affect the cleavage of the primary translation product proopiomelanocortin at the indicated cleavage sites shown in Figure 1-9B. The principal product of translation of the mRNA for proopiomelanocortin is processed into ACTH and fi-lipotropin. The ACTH can then be cleaved to generate a-MSH and CLIP, while the cleavage of /3-lipotropin generates a-lipotropin and /3-endorphin. Table 1-2 summarizes which stimuli result in the generation of which hormone products. TABLE 1-2 Summary of Stimuli and Products of Proopiomelanocortin"
" CRH, corticotropin releasing hormone; AVP, arginine vasopressin; All, angiotensin II; ACTH, adrenocorticotropin; cc-MSH, a-melanocyte-stimulating hormone; CLIP, corticotropin-like intermediary peptide. pairs of dibasic amino acids can be specifically identified by the proteases that are carrying out the proteolytic cleavage. Figure 1-9C illustrates the gene organization for enkephalins that are produced by the chromaffin cells of the adrenal medulla. A typical enkephalin comprises only eight amino acids, yet it is still biosynthesized by the traditional procedures of gene transcription and mRNA translation followed by specific processing to yield multiple copies of the final enkephalin. The gene shown in Figure 1-8C encodes six separate coding regions for the enkephalin. Again, the processing sites to release the final enkephalin molecules from the protein precursor involve the signal peptides Lys-Arg, ArgArg, and Lys-Lys. Another element of the organization of the biosynthesis of many protein hormones is illustrated in Figures 1-10 and 1-11. Figure 1-10 enumerates the sequence of steps employed for many secreted protein-peptide hormones, e.g., insulin, parathyroid hormone (PTH), calcitonin, somatostatin, gastrin, enkephalins, proopiomelanocortin, glucagon, neurophy-sins I and II. Figure 1-11 illustrates the scheme depicting the steps of the biosynthesis of parathyroid hormone taken as a representative secreted peptide hormone. One can identify a pre-pro-PTH that contains 115 amino acids, a pro-PTH that has 93 amino acids, and the mature secreted form of PTH that has 84 amino acids. FIGURE 1-10 Schematic illustration of the steps in the biosynthesis of a peptide hormone.